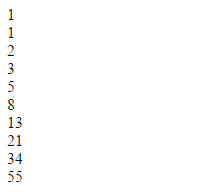 The following code will display a fibonacci series and will stop until the 10th number. Your $i there will serve as a counter and your $stopper is where the loop will stop. Try Fibonacci Series Program in PHP here live!